24 May 2018, 9.15am - 1pm (excludes Anzac Day). To make an appointment you will be required to register online via UNSW Health Services. Please note the clinic does NOT operate from the Health Service but is nearby – Quadrangle Building Room G0033. 1. Visit the UNSW Health Service website and click the Influenza Clinic Appointment tab to make an online booking. 2. Login (click on existing patient if you have visited UNSW Health Service before) or Register (select new patient if you have not visited UNSW Health Service before - to register). Log in to proceed with a booking. 3. Proceed to the “practitioner of your choice” third tab down, select either “FLU CLINIC 1, FLU CLINIC 2, FLU CLINIC 3 - TAB”. DO NOT CLICK ON THE GENERAL PRACTITIONER TAB. 4. Make an appointment at a time and a date of your choosing. If appointments not appearing for FLU CLINIC 1 (green) please selecet FLU CLINIC 2 or FLU CLINIC 3　option. 5. To cancel or change appointments please revisit the email confirmation to make the changes. DO NOT CONTACT THE HEALTH TO CANCEL THE APPOINTMENT. Changes cannot be made by contacting UNSW Health Service staff directly. Consent Forms - please bring the completed consent form to your scheduled appointment. Location: Quadrangle Building ,Room G0033 (CATS room), not within the Health Service. This campaign is free for all UNSW staff. The Health Service Staff are unable to take telephone enquires due to the busy nature of the clinic. Please email: unihealth[at]unsw.edu[dot]au should you require further information. What is seasonal influenza? *The influenza virus that circulates every year cause an infectious disease known as influenza (flu). Symptoms of the flu include: sudden fever, headache, muscle ache and pains, fatigue, cough, sore throat, stuffy or runny nose. The virus can cause a mild or serve illness depending on the type of influenza virus and the age and general health of the affected person. It may take three days to show symptoms when you catch the flu and symptoms may last up to a week. Immunisation is recommended to get optimum protection against the likely circulating strains. Bookings at UNSW Health Service - Please note private fees apply. UNSW students are bulk billed via medicare or medibank. Private fees apply - A reduced rate for all current UNSW staff. Non current staff and students the Australian Medical Assoication (AMA) rate applies for a consultation. Medicare does not cover work-related, insurance, diving medicals or pre-travel health visits. Private fees apply for work and travel vaccinations.Ous staff are able to assist you with claiming the Medicare rebate. All fees are payable at the time of the consultation. Emergency calls are taken by our Nurses and Doctors. Messages are taken for most other calls and returned as soon as possible (please allow up to 24 hours) . Most of the Doctors work part-time and a message is not always returned on the same day. An appointment is required for all referrals. It’s illegal to back date referrals. Allow 30 minutes for Mental Health issues. With your permission and current address we can include you in our reminder system. Results are given in consultations, unless by prior arrangement. An appointment is required. We are a Yellow Fever Registered Clinic. 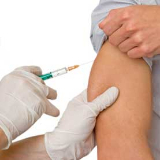 We provide childhood, adult, occupational, and travel vaccinations. Bring your immunisation record with you. Make a 30 minute appointment for travel advice and immunisations.